Treat your Dad to a steak and wine meal at l'entrecote Corner Bistro in Bonifacio Global City this coming Father's Day. 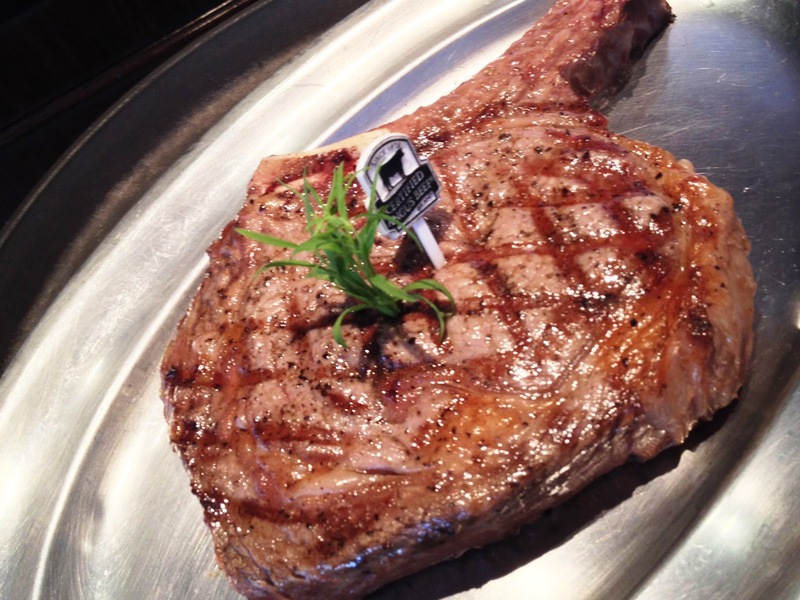 Order the 21-ounce Certified Angus Tomahawk Rib Bone Steak with a choice of sidings and sauce. This specialty cut stands out with its extra long rib bone, exceptional flavor and remarkable tenderness. End the meal with a complimentary glass of Layer Cake 2012 Malbec from Argentina. Extremely dense and concentrated, opaque purple, almost black in color, Layer Cake 2012 Malbec leaves on the palate layers of savory fruit, spice notes, espresso and dark chocolate as well as a rich, creamy texture. This extraordinary meal is P3,240.00. Dine with a minimum of four people with another order of Tomahawk Rib Bone Steak and receive a Gift Certificate for a free bottle of Ventisquero Cabernet Sauvignon Clásico 2013 from Chile for your next visit at l’entrecôte . For reservations, call l’entrecôte at telephone numbers 856-4858, 836-2764 or mobile 0905-991-1266.